So, sounds entertaining enough, huh? I’m actually in the middle of this book right now. I started it a while ago, and I’m not really sure why, but I let other stuff take precedence and haven’t finished the book yet! 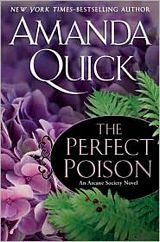 I’ve read plenty of other stuff in the meantime, but thinking back on it, I think it was because I’d just finished Crystal Gardens (by Jayne Castle’s pseudonymous alter-ego Amanda Quick). I enjoyed that book a lot, and although Deception Cove was good, it wasn’t historical and I was in the mood for historical. I received an exciting email today from Berkley/NAL. In their announcement of a new eBook imprint, InterMix, they also mentioned Jayne Castle, a known pseudonym of Jayne Ann Krentz/Amanda Quick. A short list of the 4 books in question. Click the links to go to Amazon, where you’ll find more information. I wouldn’t buy just yet, because all these books are out of print and sell for ridiculously high prices. Unless you’re a collector of course, then you might want to buy the Guinevere Jones books just to add them to your collection. Who am I to judge? Canyons of Night by Jayne Castle is in my hands and next on my to-be-read list. That means I could get to it as soon as tomorrow night, assuming I can finish the non-fiction book I’m in the middle of. I am practicing patience, so I will finish that book first before I move on to Canyons of Night but to be frank, I’m very excited. If you’ve read anything here on this site, you probably realize how big a fan I am of the Jayne Castle books. So between the news about the Guinevere Jones books and the prospect of reading Canyons of Night finally, this has been a really nice day! I have a soft spot for Jayne Castle books. When I discovered the release date for Canyons of Night by Jayne Castle is coming up very soon, I got excited. Another book in the world of the ghost hunters set on Harmony? I love the Harmony books. I still think my favorite is Dark Light, but that’s not to say the rest of the books in the series aren’t great. They are. Each one has a hero to die for and a heroine who isn’t afraid of a little mystery. Not to mention all the paranormal elements that make the books highly entertaining. Canyons of Night comes out on August 30, 2011 and is going to be available as a paperback, Kindle book, Nookbook, audiobook (from Audible), audio CD, and in other ebook formats from ebooks.com. See below for links. Growing up on Rainshadow, Charlotte Enright knew better than to ever go into the Preserve, until that one fateful night with Slade Attridge â€” a night neither of them would forget. Now, fifteen years later, both have returned to the island: Charlotte to take over her late auntâ€™s antiques shop and Slade to fill the police chiefâ€™s position. Able to read auras, Charlotte senses something amiss in Slade, but that doesnâ€™t stop her from wanting him â€” again. That is, as long as his dust bunny â€œdeputyâ€ keeps his paws off her merchandise. You can buy the Canyons of Night audiobook CD in abridged and unabridged format from Amazon, or the audio download from Audible. Here are the links to make it easy to order Canyons of Night online. 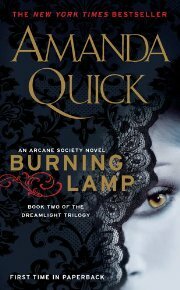 In Burning Lamp, Amanda Quick continues with her Arcane series, specifically the Dreamlight trilogy. Burning Lamp follows Fired Up and is set in the late Victorian era. I’ll be honest. When I started writing this review, I couldn’t even remember the names of the two main characters, because although this book was an enjoyable read, it didn’t turn out to be memorable. I bought the book through Amazon and got a great deal on the hardcover version at $9.99. 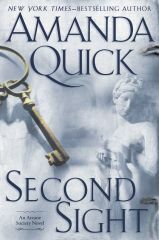 I don’t regret my purchase at all, because I do love Jayne Ann Krentz’s Amanda Quick novels, but I admit to a lack of passion toward the books of late. If it weren’t for the fact that I have just reread both Ravished and Deception not three weeks ago, I’d think it was just me and my changing tastes. However, I don’t think that’s the case. Ravished and Deception were both great books, with Ravished remaining one of my all-time favorite historical romance novels, and Deception isn’t far behind. What I’ve noticed is a lack of depth in the romance between the characters in the Arcane series books with too much focus on the psychic connection of the characters, leading to romance without passion. Her historical characters have become too modern, her heroes too uninteresting. What happened to the men like Gideon and Jared from Ravished and Deception? Since Jayne Ann Krentz still writes fabulous paranormal romance with a psychic twist as Jayne Castle, I’ve begun to think it’s just the Arcane series, but then I think about the other recent historically set Amanda Quick and contemporary Jayne Ann Krentz novels in which the heroes lacked those qualities that made me fall in love with them in her earlier novels, and I realize it isn’t me. It’s her. Her heroes and heroines have changed, and although I can appreciate on an intellectual level that nothing stays the same forever, it saddens me to know what once was and what likely will never be again. 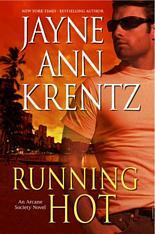 Jayne Ann Krentz is a prolific author and she uses several other names to author her books. Many authors use different names for their books depending on what type of book it is and these days, that’s exactly what JAK does with her other author names. 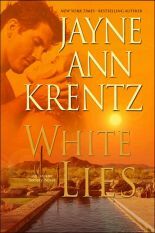 Jayne Krentz currently writes under three distinct names, and she has a few older pseudonyms too that she doesn’t use any longer. Krentz uses this one for contemporary romantic suspense and she also used to write for Harlequin Temptation, many of my favorites including The Family Way. These days, as Jayne Castle, JAK writes futuristic paranormal romance in which the characters have psychic powers. Once, this pseudonym wrote series romance and other contemporary romance novels. Under this name, Jayne Ann Krentz writes historical romance novels. I’ve only ever read one that didn’t have a strong suspense or mystery element to it and that is Scandal, which is actually one of my top five favorites. This pseudonym has been inactive, but many of the titles written under this name have been rereleased. Most of Jayne Ann Krentz’s works under the name of Stephanie James were written for Silhouette Desire. I read Midnight Crystal by Jayne Castle recently, and I loved it. :) Although I was concerned about how well I would like the intertwining of the Arcane series with the world of Harmony, I think Midnight Crystal set my fears to rest. Book Three of the Dreamlight trilogy. Head of the ghost hunters guild Adam Winters and dreamlight reader extraordinaire Marlowe Jones must break the curse, save Harmony’s entire underworld-and fight a passion that could destroy them both. 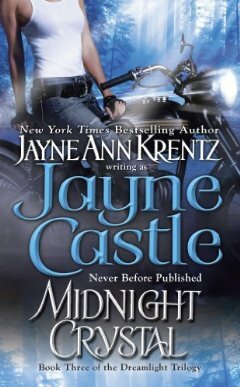 I’ve always enjoyed the Jayne Castle books by Jayne Ann Krentz. Midnight Crystal is an interesting melding of her Harmony universe and the Arcane series and is the third book in the Dreamlight Trilogy that started with Fired Up by Jayne Ann Krentz and continued with Burning Lamp by Amanda Quick. Although they’re all written by the same author under different pseudonyms, the books share a connected story. Although I’ve read all three books, I believe the books can be enjoyed just fine if you haven’t read any of the others. Ms. Krentz takes the time to slip in enough backstory so that you can figure out what’s going on without becoming lost. Midnight Crystal was fun, exciting, romantic, and all around enjoyable reading. Try it. Also, check out the next Jayne Castle book tied to the Arcane & Ghost Hunter/Harmony series, Canyons of Night. 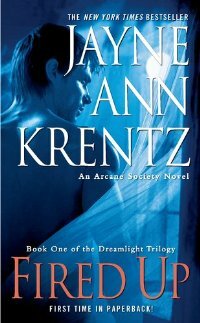 Fired Up by Jayne Ann Krentz is book one of the Dreamlight Trilogy, part of the Arcane Society series. 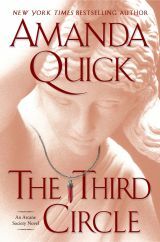 This particular series (The Dreamlight Trilogy) contains three books, one written by each of the author’s three pseudonyms: Jayne Ann Krentz, Amanda Quick, and Jayne Castle. Fired Up has an interesting set of characters that trace back to the time of Sylvester Jones, the creator of the Founder’s Formula, and it focuses on the Winter’s Curse. Book one of the Dreamlight trilogy. More than three centuries ago, Nicholas Winters irrevocably altered his genetic makeup in an obsessionfueled competition with alchemist and Arcane Society founder Sylvester Jones. Driven to control their psychic abilities, each man’s decision has reverberated throughout the family line, rewarding some with powers beyond their wildest dreams, and cursing others to a life filled with madness and hallucinations. Jack Winters, descendant of Nicholas, has been experiencing nightmares and blackouts-just the beginning, he believes-of the manifestation of the Winters family curse. The legend says that he must find the Burning Lamp or risk turning into a monster. But he can’t do it alone; he needs the help of a woman with the gift to read the lamp’s dreamlight. Jack is convinced that private investigator Chloe Harper is that woman. Her talents for finding objects and accessing dream energy are what will save him, but their sudden and powerful sexual pull threatens to overwhelm them both. Danger surrounds them, and it doesn’t take long for Chloe to pick up the trail of the missing lamp. And as they draw closer to the lamp, the raw power that dwells within it threatens to sweep them into a hurricane of psychic force. You’ll probably need to read some of the earlier Arcane Society books, since I’m noticing a trend toward less stand-alone books. Or maybe it’s just that so much has happened now that it’s impossible to get it all out in current books without ruining the flow. The good news is that this might be true of the contemporary set novels (published under author name Jayne Ann Krentz), but less so for the historical set novels (by Amanda Quick), and not at all for the paranormal futuristics (written by Jayne Castle). For Fired Up, though, much of the backstory is vague and I believe it wouldn’t be easy to follow unless you’ve read the previous contemporary novels in the Arcane series. I’ve read them all, so it’s no problem for me. Since they’re all pretty good books, and some are excellent, I suggest that you just go out and read them all. These are hardcover releases, so any public library is likely to have copies of all these books, with the possible exception of the Jayne Castle books (released in paperback), which is the situation at my local library. I was so excited to pick up my copy of Obsidian Prey this past weekend. I was in the middle of another book, and for once, I actually made myself finish it before I moved on to Obsidian Prey (it was actually a very good book called Winter Kiss by Deborah Cooke). Obsidian Prey is another of Jayne Castle’s Ghost Hunter series books. In this one, Lyra Dore and Cruz Sweetwater tangle with bad guys over some amethyst alien artifacts. There’s even a connection to the Arcane Society here. Although some reviewers on Amazon mention that Obsidian Prey isn’t as fresh as it should be, I for one loved this story and these characters. Maybe you can blame my excitement on the fact that I only get about 1 Jayne Castle book from Krentz each year, but I don’t think so. I’m usually pretty picky. 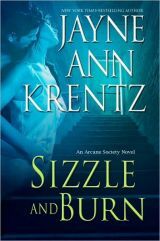 Even I didn’t care for Sizzle and Burn nearly as much as I have many of Krentz’s books. But Obsidian Prey was great. So there you go! :) Read Obsidian Prey if you have the chance. It’s worth the time. I ran across an interesting post today, where author Jayne Ann Krentz explains her three names. I’ve got a page on this site devoted to her pseudonyms, so I thought this was a relevant topic. I’ve also previously discussed my thoughts about authors and pseudonyms from a readers perspective in my post titled The Art of the Pseudonym. I specifically talked about Jayne Ann Krentz’s efficient use of pseudonyms and asked a few questions she’s answered in her post JAYNE EXPLAINS HER THREE NAMES. I wonder sometimes how much of Jayne Krentzâ€™s decision to go forward with the Arcane Society series was simply a decision to find a good way to cross-promote her different books. Maybe at this point she wishes she were using only one name. I canâ€™t say and I shouldnâ€™t speculate, because I canâ€™t know the answer without asking, and I probably wonâ€™t do that. I never did ask…but someone must have. Yes, if I had it to do it over again, I would have stuck with one name. But what’s done is done. So I have concocted a brilliant rationale for my three names, one that makes it look like a shrewd, well-thought out career choice rather than the result of a lot of bumbling and pratfalls along the way.